Leading tyre maker Kumho has added three 2014 Red Dot Design Awards to its growing list of accolades. Leading producer of passenger vehicle tyres Kumho has broken the mold in ulta-high performance tyres with the development of its new 'harmony sports tyre' - the Solus HS51. Leading tyre company Kumho has marked the launch of its all new Ecsta PS91 Super UHP tyre with the announcement that it is sponsoring well established track day organiser GP Exec. A Kumho shod single-seater has demonstrated how grip and handling can outweigh brute power by setting the second fastest time ever around the famed Top Gear track in England. Kumho Tyres has been chosen by leading Australian car maker Holden to provide a quality tyre to meet the needs of unique local roads for its new medium sized passenger car, the Malibu. Leadingtyre manufacturer Kumho has launched a new generation of modestly priced small car tyres with the introduction of the Sense KR26. Leading tyre manufacturer Kumho has continued the expansion of its platinum dealer network in Queensland with the opening of Tread Marx in Bundaberg. Kumho Tyres has launched its next generation ultra-high performance (UHP) tyre in Australia with the arrival of the internationally acclaimed and class leading Ecsta 4X KU22. Kumho has debuted an all-new Ultra High Performance tyre aimed at providing the best possible performance for luxury sports and performance vehicles rivalling that of tyres from acknowledged European and Japanese manufacturers. Kumho Tyres has been handed a major plaudit by consumer organisation, Choice with the Solus KH 15 tyre scoring highly in the annual review and comparison of car tyres. 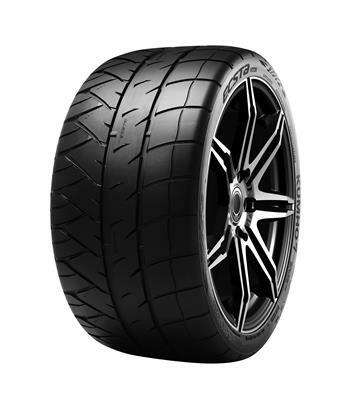 The Kumho ECSTA V720 is street-legal, and guarantees the ultimate handling and durability needed in the high-speed conditions of a performance circuit while promising the safest drive off the circuit at regular speeds.